This post may contain affiliate links. For more details visit my Disclosure Page. Welcome to the (under-construction) blog that brings you an honest, humorous, and heartfelt look at the hot mess, I mean, — awesomeness — that is being a Gen X Mom to daughters born a quarter of a century apart! 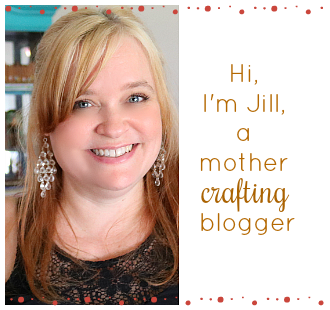 The always down-to-earth, often tongue-in-cheek, Southern California lifestyle and parenting blog Generation X, Y, & Jeez is the brainchild of me, Jill Elliott! The majority of the photos here are taken on my iPhone, capturing a real glimpse at candid childhood. You can also find me offering up craft | life | color inspiration over at Stix on the Beach. When my significant other suggested I share my story of becoming a mom at sixteen and again at forty-one, I rolled my eyes so far back into my head that I nearly fell over. Did the world really need one more mommy blogger? There is a growing trend of women having another baby 20+ years after becoming first-time mothers! It's no surprise many of us were also teen moms, considering 1991 — the year my daughter, Marissa, was born — had the highest rate of teen pregnancies since the 1940s. In 2014 I reunited with a mutual crush from elementary & junior high school and fell in love instantly. We became the proud parents of Emilia Sky in September 2016. In the late 1990s, while homeschooling my firstborn, I published a life and parenting skills newsletter for young parents that was subscribed to by teen parenting programs in the United States, Canada, Mexico, and the United Kingdom. The idea for GenXYJEEZ.com was conceived while I was eight months pregnant with Emilia and it became clear that once again families like ours have zero representation among mainstream parenting magazines and Millennial mommy blogs. Much like my intent was with the newsletter two decades ago, this blog has been created to give birth to a positive perspective of what it means to celebrate parenthood then and now! The material provided on this site is for informational and educational purposes only. It is not meant to replace the advice of your health care provider or mother.